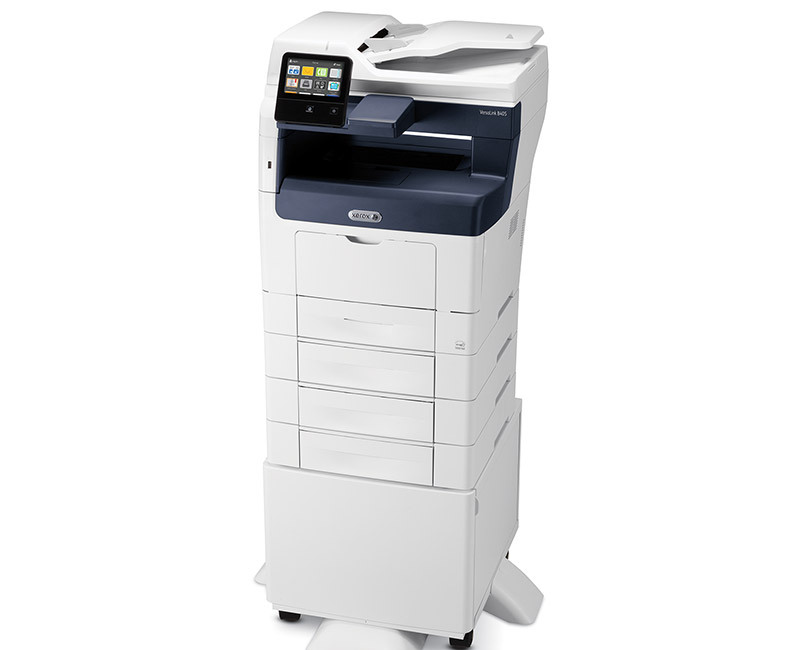 The versatile, perfect workplace assistant for every office – no matter the size. 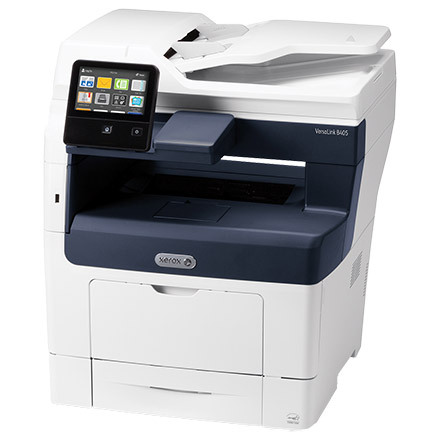 Whether stand-alone or as a part of your extended fleet, the Xerox® VersaLink B405 Multifunction Printer takes your team to new levels of productivity. Work the way you want—from any device—with maximum security and easy connectivity to and from both cloud and network-based locations. With the customizable 5-inch color touchscreen, you can tap, swipe and pinch your way through tasks and functions with mobile-like ease. 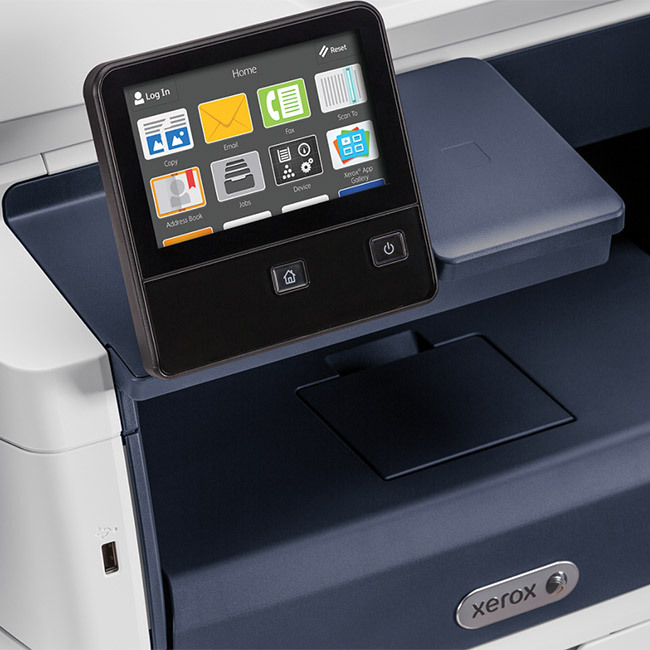 Preloaded Xerox® ConnectKey® Apps help optimize office efficiency, and on-screen access to the extensive Xerox® App Gallery provides expanded functionality—like the Xerox® Easy Translator Service app, which quickly translates scanned documents into numerous languages. 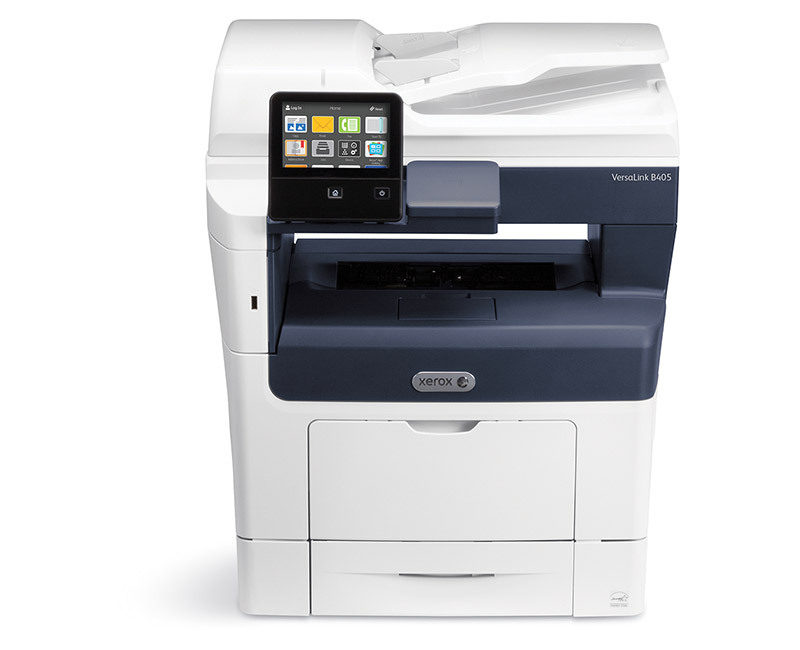 The ability to connect and print from multiple devices is key for today’s worker, and VersaLink devices meet the challenge with optional Wi-Fi and Wi-Fi Direct, plus Apple® AirPrint®, Google Cloud Print™, Xerox® Print Service Plug-in for Android™, Near Field Communication (NFC) Tap-to-Pair and Mopria®.